GNote - The Lightweight Tomboy Alternative - OMG! Ubuntu! The writing is, seemingly, on the wall for note-taking application Tomboy with plans to be drop it from the default install of Ubuntu 12.04. The application will remain readily available in the Ubuntu Software Centre, where it will sit alongsidecompetingnote-taking applications. Amongst them is ‘Gnote‘ – a Tomboy clone written in the C++ language and ‘free’ of dependency on the mono runtime. Gnote looks and behaves just like the ‘original’ Tomboy but is lighter and leaner on system resources. Although the majority of Tomboy’s functionality isimplementedin Gnote there arepiecesmissing. 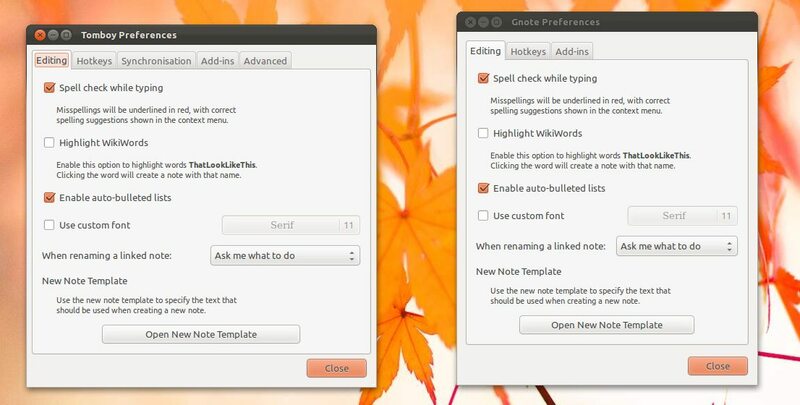 Gnote does not (yet) support any form of note-syncing; amongst the add-ins missing are ‘evolution integration’, ‘note directory watcher’, and ‘advanced preferences’. 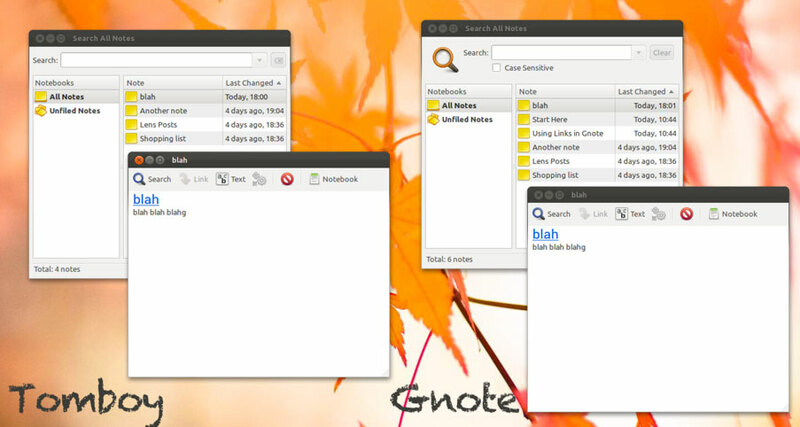 Gnote also comes without an ‘indicator-applet’ – one of Tomboy’s handiest features. Gnote is a capable replacement for Tomboy – after all it’s pretty much Tomboy in all but name – and for the most part the ‘extras’ it lacks are inconsequential. The lack of a tray-areapresenceis, however, a major drawback. Part of what makes Tomboy one of the most useful note-taking applications available for Ubuntu is the ease in which new and existing notes can be opened without the application window being open. If you hate mono but love Tomboy then Gnote’s for you. If you just want something lighter than Tomboy to take notes with – try some pen and paper. But if you’re just after the best then Tomboy is it. 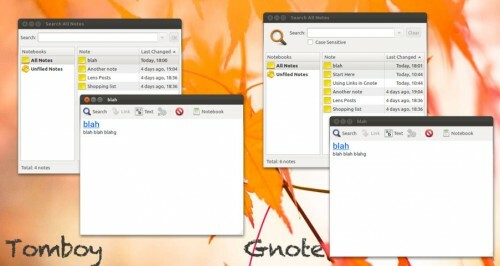 Gnote is available to install through the Ubuntu Software Centre.